It absolutely poured last night, accompanied by thunder and lightning. Luckily our campsite was protected among the trees. Needless to say, it was a little slower getting ready this morning with gear being wet and cold. 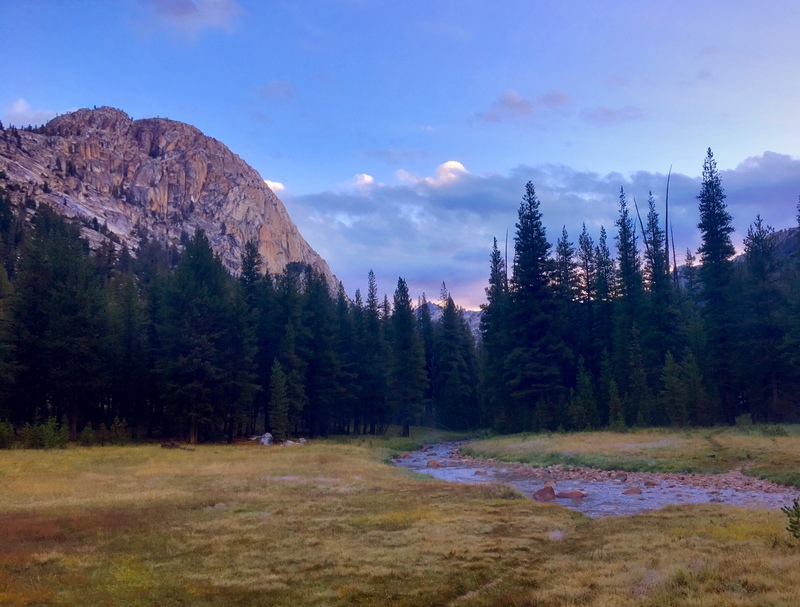 The broad Matterhorn Creek valley was a great way to start the morning. 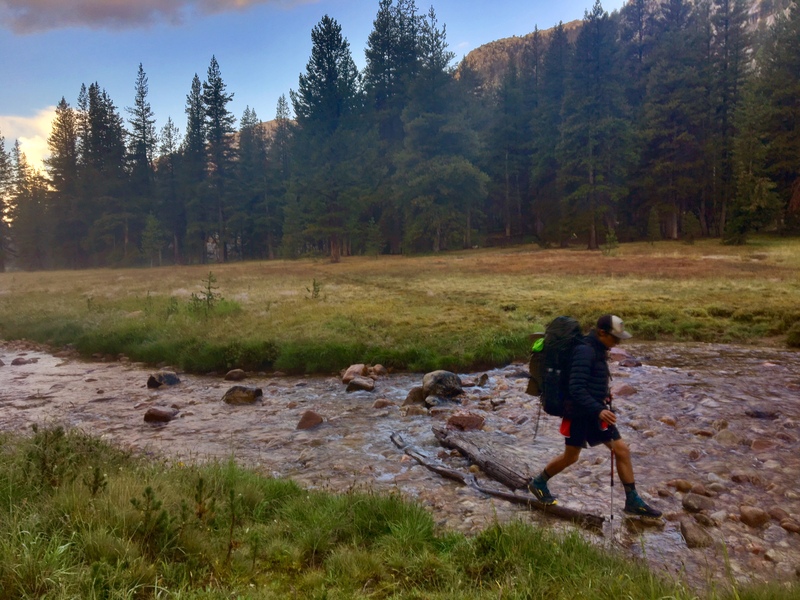 The Butcher adeptly using rocks and logs to cross Matterhorn Creek. 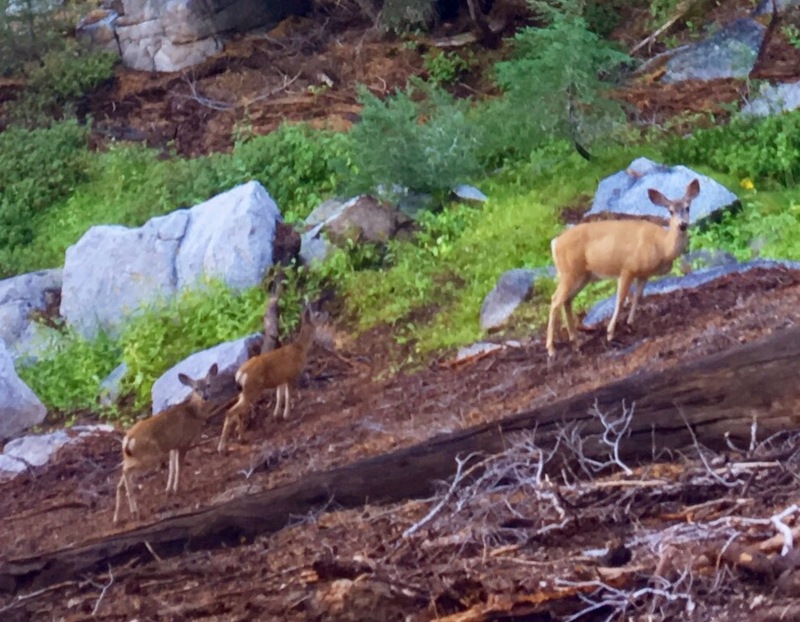 A doe with two fawns scoping us out. 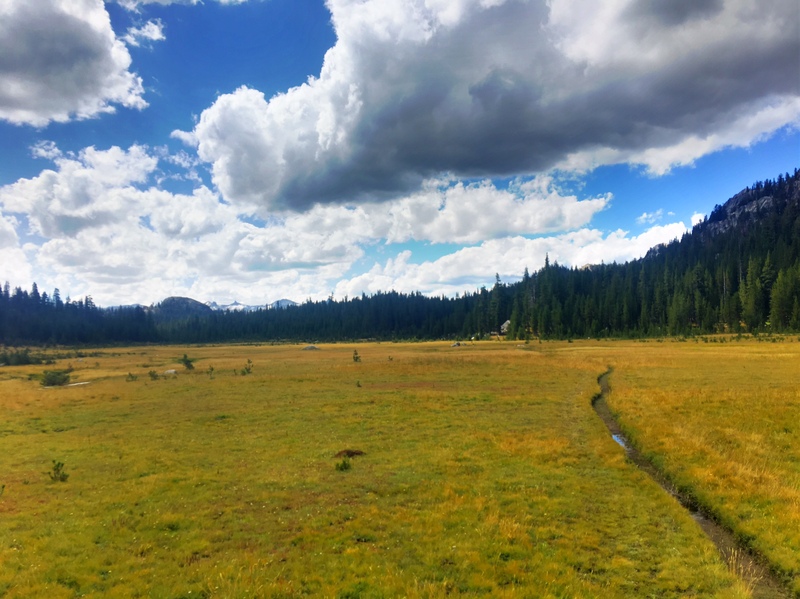 I love hiking through giant meadows. 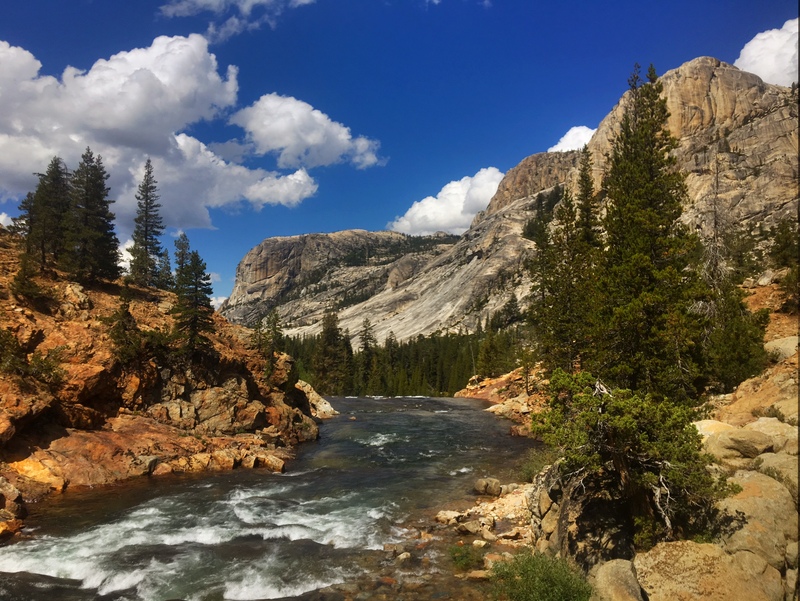 The Tuolumne River passing granite walls and domes. 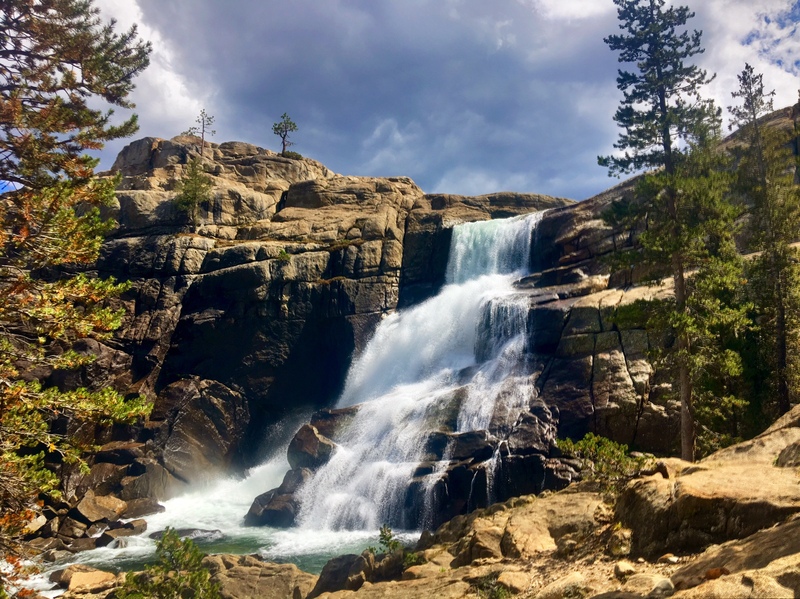 Tuolumne Falls is no joke. Up above the falls the river couldn’t be more placid and gentle. 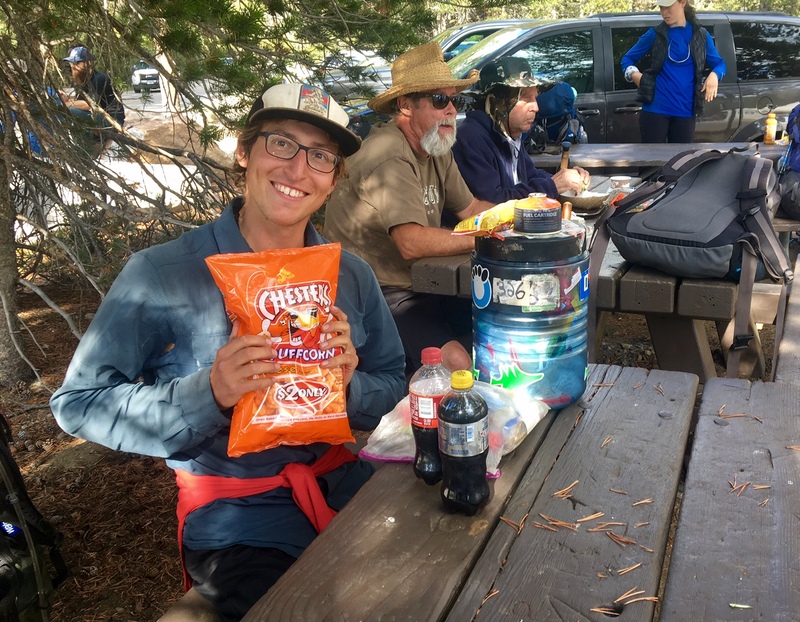 The Butcher excited for some snacks and sodas at the Tuolumne Store. Hanging out at the hiker campsite. We even went to a Ranger campfire talk about the creation of the National Park Service. The plan tomorrow is do a little side trip to Yosemite Valley..The Butcher decided to come along as well. We will hitch a ride to a trailhead 10 miles down the road. 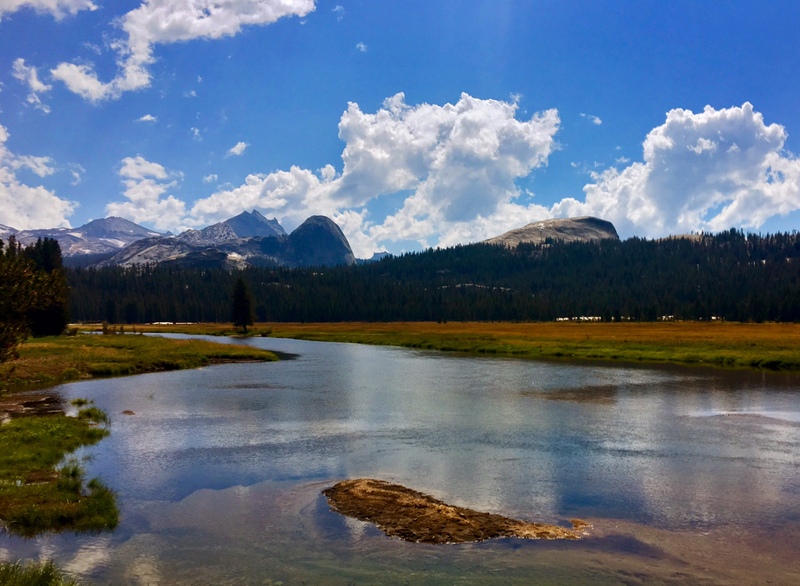 Then we will hike over Clouds Rest which has incredible views of Half Dome before descending 6000′ into the valley. 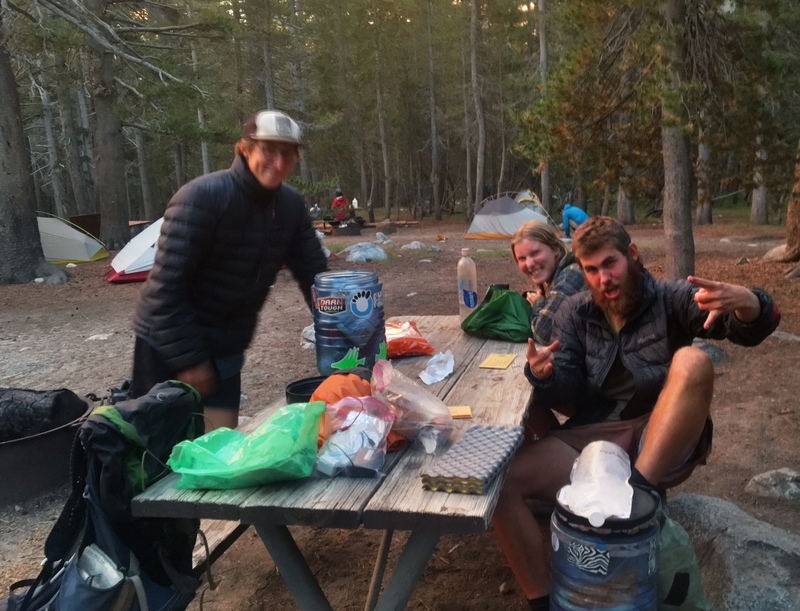 Then we will to need to hitch about 50 miles back to Tuolumne.